The driver’s seat is wide and spacious. 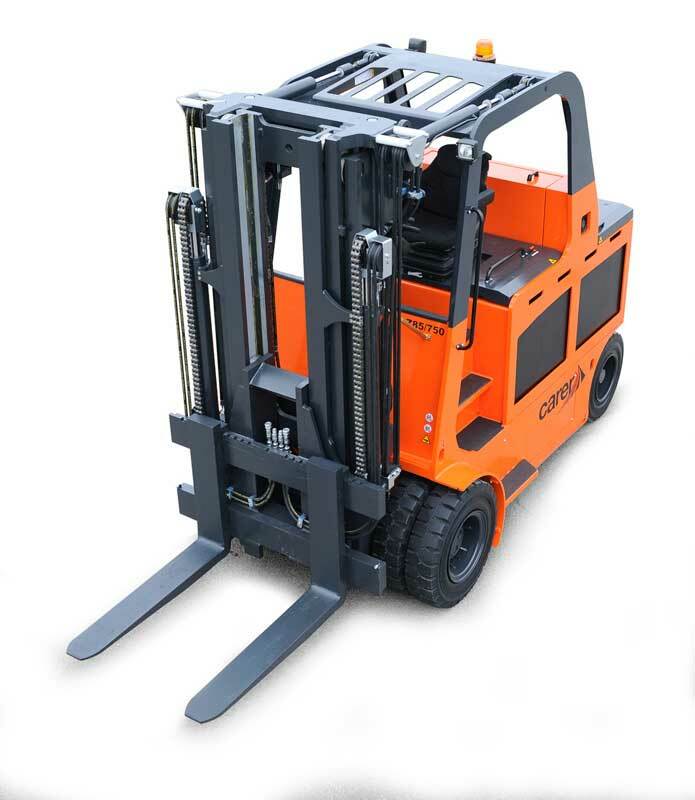 The controls and instruments are arranged respecting ergonomic sizing requirements. The steering wheel has a tilting steering column and can also be adjusted depth-wise. 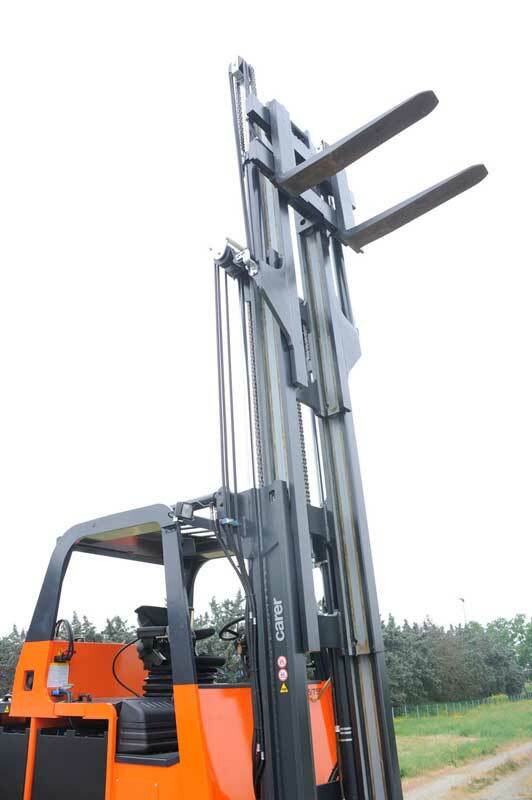 The wide seat has a damping system, can be adjusted in any direction also based on the weight of the operator. A large handle and two wide steps make it easy to reach the driver’s seat. Exceptional visibility at the front and the back thanks to the raised driving position. The electronic MOSFET control ensures maximum silence and maximum motor performance. The system is protected and located at the rear to make it easier to access it during maintenance. 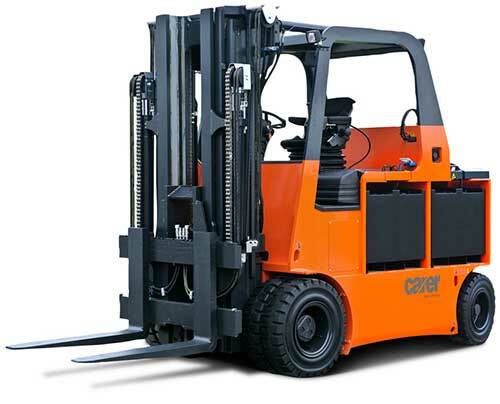 The electric motors in this compact electric forklift are developed and designed to withstand heavy-duty use and have excited motors in series with the coil wrapped in copper strips. The electric braking has an energy recovery feature as the brake pedal is released and by inverting the direction of the brake pedal and making a U-turn. The high pan/tilt cylinders ensure excellent stability of the upright, thereby reducing torsion’s thanks to their position and the long lever arms.